After surgery you will be admitted to the CSICU (Cardiac Surgery Intensive Care Unit) usually still under the effect of anesthesia, so fully sedated. You will still have the breathing tube down your mouth connecting you to the ventilator. You will be connected to several monitors and there will be several alarms and buzzers sounding repeatedly to continuously alert intensive care staff to changes in your condition. It is important to remember that a focus on pain avoidance and optimization of your sedation is one of the primary objectives of the nursing and physician teams following you during this time. You will be closely monitored and expertly cared for by our team of physicians and nurses, so there will be a lot of activity around your bedside as nurses and doctors make adjustments on a minute to minute basis. A breathing tube, connected to a ventilator. You will not be able to speak until the tube is removed. This resembles breathing through a straw. Try to remain calm and understand the breathing tube will be removed as soon as you are able to breath without support. Chest tubes, to drain fluid from the surgical site. A urinary catheter, to drain urine from your bladder. Multiple intravenous lines, to administer fluids and medications. An orogastric tube which is removed with the breathing tube. Nearly all postoperative patients, with or without diabetes, in the intensive care unit will be treated with an intravenous insulin infusion, in order to maintain their blood sugar levels in the normal or near-normal range. This medical treatment is associated with improved outcomes due to decreased inflammation and better wound healing. This treatment is monitored very closely by the nurses, intensivist, and an endocrinologist if we think their expert input is necessary. Also, during this time, any other metabolic disorders will be investigated by the endocrinologist and discussed with the intensivist. Once it is established that your heart function has remained optimal and stable, that you are not bleeding and that your body metabolic functions are performing adequately then we will allow you to wake up and then take you off the ventilator. For some patients, this process will begin the night of surgery. Most patients will remain on intensive care for one or two nights after which they will be transferred to the general telemetry floor. 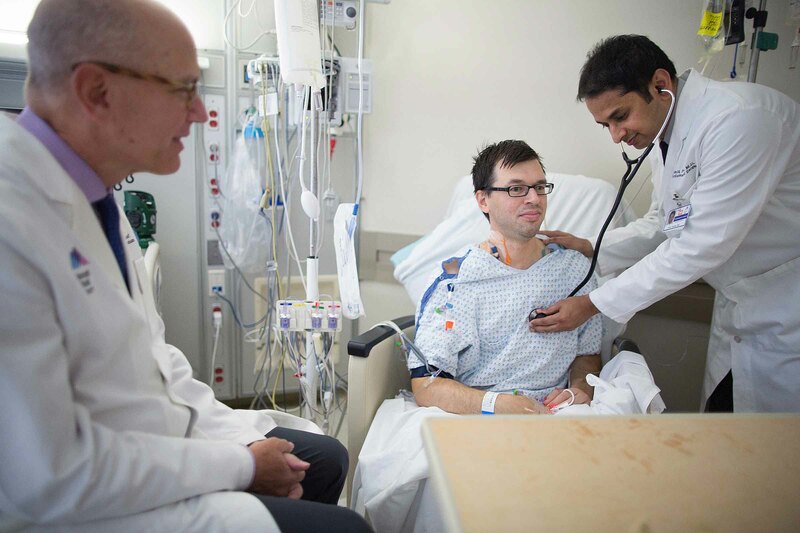 The majority of patients will be ready to leave hospital within 5 to 7 days of surgery. 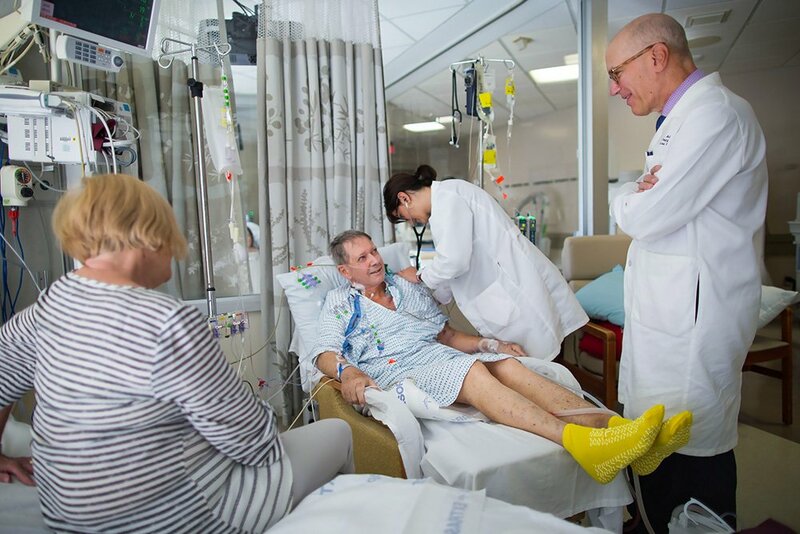 About 1 in 10 patients will have unique situations or complication that will require they stay in ICU or hospital for longer periods, but these are usually self limiting and do not have any lasting implications. It is important to remember that each patient will recover at a different pace. Any questions about individual progress can be directed to the ICU medical and nursing staff. Your family will be told when the surgery is over and will be sent to GP2W where the surgeon will meet with them. Once you are admitted to the CSICU your family can visit you during standard visiting hours, 11:30am - 6:30pm and 7:45pm - 8:15pm. Only 2 people at a time, at the bedside.